All is digital nowadays, and printing goes in the same direction as well, it is no surprise. The offset printing industry, for example, has long been the world's most used printing process for decades, but more people now prefer it to be easy to use with the advent of digital printing. Despite higher quality of offset printing, digital printing quickly catches up with reduced printing and initial cost. The screen printing is another printing technique which is practiced for decades, much like the offset printing. The process is similar to stencils since a fine mesh or polyester is designed for screen printing. Ink then is pushed by wetting the substratum and transferred to the printed surface. The process is similar to the stencil. To understand which one is best suited to your requirements of custom t-shirts or workwear in OKC, you need to know the two types in detail. Here you go! Screen printing requires an image on a porous, usually mesh, screen. For each color of the design, a separate screen is created. The screen or the material that the image will bear will then be placed on top of the substrate. A squeegee on the screen is used to wipe the ink on the substrate by the printer. Screen prints need to be colored, and every screen requires design-specific stenciling, so the screen printing process is time-consuming. Many screen printers, therefore, need a minimum order to ensure that their effort is worthwhile. Screen printing is a better option if you want a large order. Screen printing orders of custom shirt printing in a large number are often cheaper than digital. You may, however, want to choose another route for smaller quantities with a high color count. So what's the work of digital printing? The process begins with a digital file containing the image to be printed. Graphical software is used to send the picture directly to the printer instead of using the image to create the screen or printed plate. 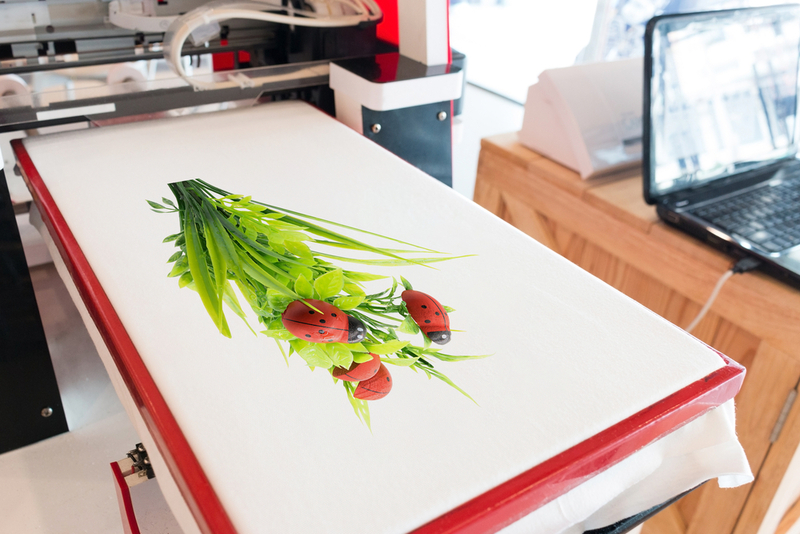 The printer then generates the image by putting thin layers of ink on your preferred fabric. Digital printing comes up with the result faster because the set up is minimal. This configuration is suitable for orders of all sizes, large or small. Digital printing allows for unlimited combinations of colors in terms of color, because, unlike screening, digital printing does not require color separation. In recent years, many questions have been asked of which printing method is better for t-shirt printing in OKC, and the answer is not cut and dry. One way of printing isn't "better" than the other, yet each has its advantages and disadvantages depending on the printing work. So if you try to decide between digital printing and screen printing, we are here to guide you. So you got it there. Our guide will hopefully give you a better insight into the processes involved and complete with screen printing and digital printing. You can contact us at IGG Screen Printing and Graphics to know about our printing services on custom shirt printing in OKC by just giving us a call. Please do not hesitate to contact us.